※ All prices are including tax. 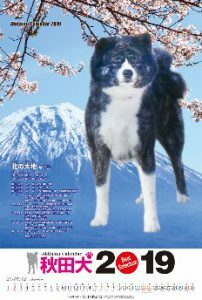 It is the Akita calendar, which has been very popular since its launch. 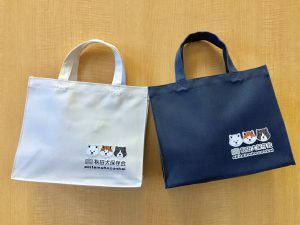 A lot of Aikita of pet dogs are posted. This time Arena Zagitoi and Masaru decorate the back cover. 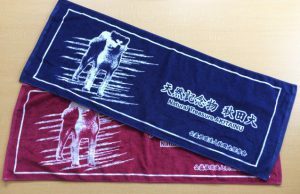 Embroidery of “Akita inu hozonkai” is contained behind. It becomes 2 colors of black and beige. All types of images are enclosed. It is a hand towel in the shape of a face. It is three kinds of red, white and tiger. 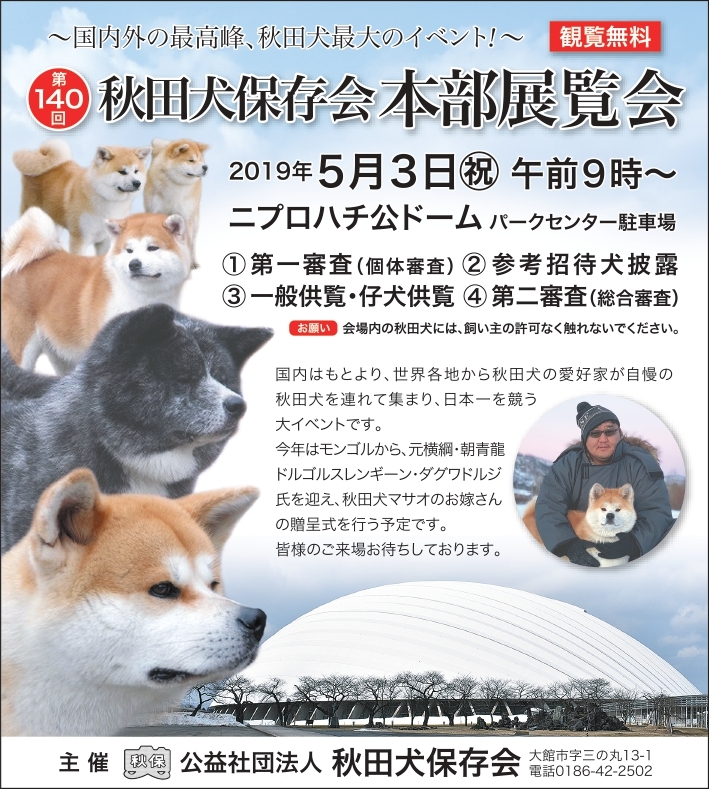 It will be a newsletter of the Akita inu hozonkai. 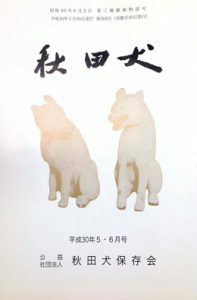 Issued once every two months, information on exhibitions of the month and members’ Akita dogs are posted. ※ November / December issue of Heisei 20, November / December Heisei 28, September / October Heisei 29 issue is out of stock. It is a book that summarizes the bulletins 1 to 8 of the early days (around 1945). 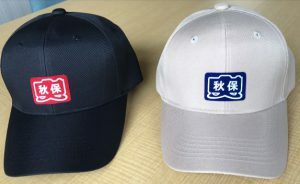 It is a valuable material though the condition is bad a little because it is the thing that was produced at that time. It also contains things not written in old photos and records, current bulletins, and now you can know about the Akita dog at that time. As there are limited numbers, please purchase as soon as possible. It is the DVD of the 138th Headquarters Exhibition held at Katsuragi Park in Odate City. 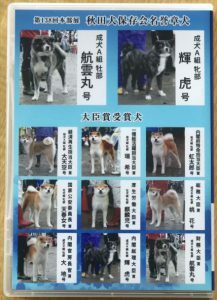 It is the culmination of the exhibition where Akita dogs with excellent results from all over Japan gather. It is filmed with a name with one head! 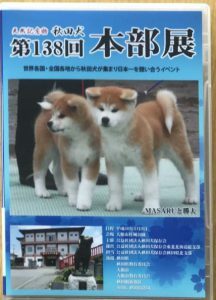 It is the DVD of the 136th Headquarters Exhibition commemorating the 90th anniversary of the founding held in Otsuka Kasei Castle Park. It is the DVD of the 134 th headquarters exhibition held in Otsuka-shi Katsuragi Park. 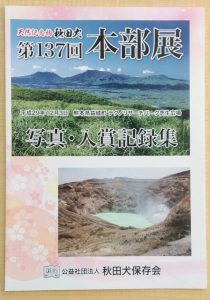 It is the DVD of the 133 th Headquarters Exhibition held in Okayama City, Okayama Prefecture. 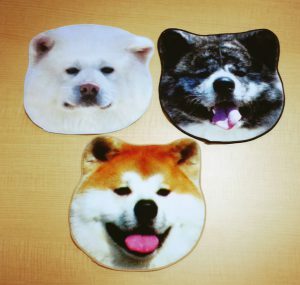 It is a sticker of Akita dog preservation party. Since it is already laminated, it can be pasted on car etc. Since there are puppies and adult dogs, please specify either when ordering. 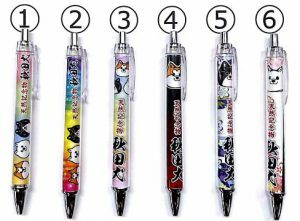 It is a ballpoint pen that Illustration of Akita dog was designed. There are 6 types, so please specify the number when ordering. Since it is limited to 100 volumes, please contact us if you wish, as soon as possible. Since it is limited to 50 volumes, please contact us if you wish, as soon as possible. Two colors of navy and wine red. Please specify when ordering. 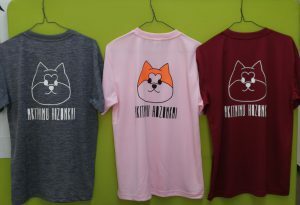 It is an original T-shirt. 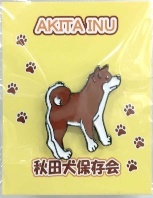 Akita dog illustration on the back, “Akiu” mark in the chest is included. 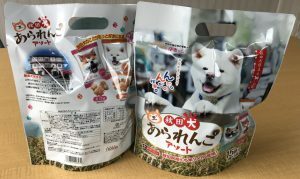 It is not a dog ‘s snack. We will accept it by e-mail.